This new instalment of the complete recording of Vivaldi’s Op.1-12 contains the 12 Violin Concertos Op.7, published in Amsterdam in 1720. 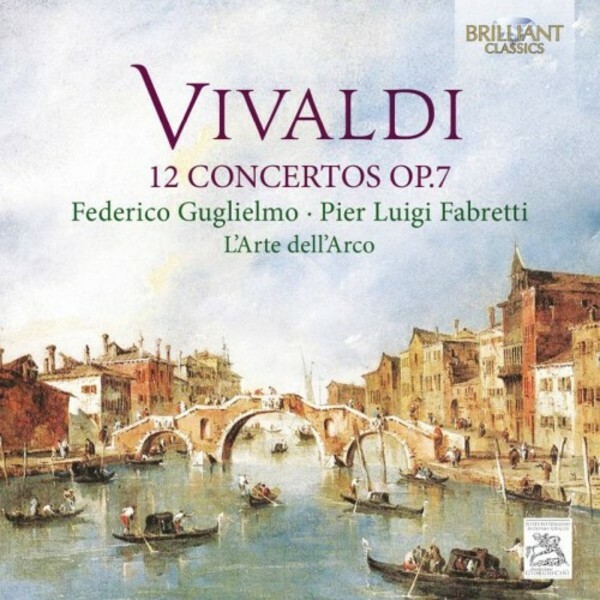 Prompted by the popular success of the previously published La Stravaganza and L’Estro Armonico, Vivaldi wrote these concertos in the same vein: brilliant, dramatic, full of the vitality of Mediterranean life and colours. This is a world premiere recording, authorised and based on the Critical Edition by Alessandro Borin, Istituto Italiano Antonio Vivaldi, Fondazione Giorgio Cini, Venice.